Actually before we start the trip, Mac and I have some small fights over and over again and it’s kinda exhausting, so I told myself this trip will either break us or make us. 1st day: waking up early, taking the bus to the airport since train was not yet available, upon arrival at the airport we found out that our ticket does not include luggage so we have to pay additional amount. Everything went smoothly after that. 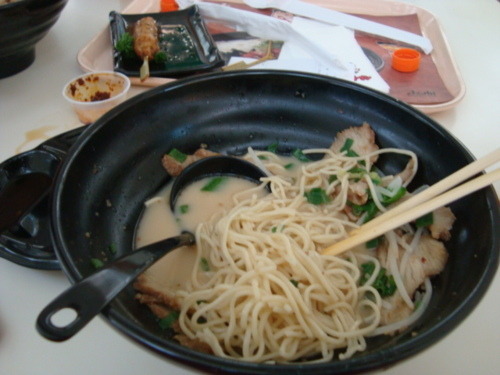 We ate breakfast inside the airport, as usual like our trip to Cebu, we ate ramen! On the plane, I was just asleep cause I only have short hours of sleep due to rush packing the night before. 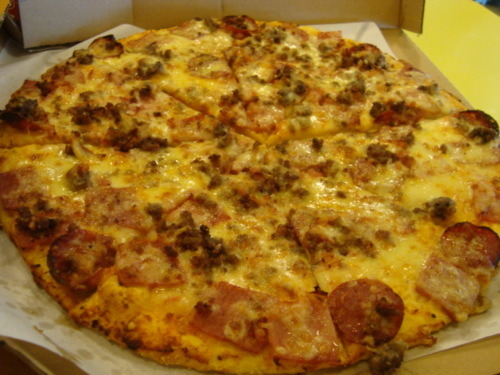 Upon arrival in Manila, we ate at Manhattan meat lovers at yellow cab. And then on the plane from Manila to Iloilo I fell asleep once again. When I woke up, we were arguing again due to some reason that I can’t remember. When we went out, we meet his Aunt who is really a warm person, although she keeps on entertaining us by telling us lots and lots of stories, just imagine 2- 3 hrs drive to Capiz with all her stories. I just felt like I’m on the right place. But that is just the start. We passed by Gaizano Mall and we ate at Mang Inasal, see? 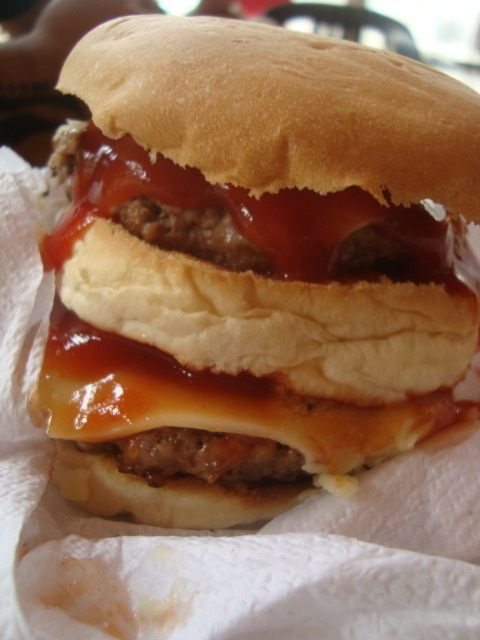 It’s a constant food trip! Haha! We arrived at their house (which is located in the fields) around 6 pm. It’s kinda scary for me though, since I am used to the city life, lights are not that bright, it’s kinda dimmed, it’s also so quiet compared to what my life in the city used to be. I keep on telling myself to relax, that nothing wrong will happen, that I’m safe here. What actually scares me is that according to rumors, Capiz is a province where Aswang (monsters) live. I knew I’m old enough for that folklore but I can’t help it! I can hear every little sound, it’s just ugh, weird. We went to bed at 8:30 pm but I fell asleep at 12 am. Then just when I thought I would wake up in the morning, damn it, it was still 2 pm when I woke up. It was like WTH for me, I don’t know how I managed to go to sleep again but when I did, I woke up at 4 something am. Then I cried again, and begged to Mac to watch me sleep which he agreed, lucky me. The next thing I knew it’s morning, thank God. I suggested that we better stay in a hotel in the city nearby but he told me that it will just make things worse, first it will be embarrassing to his Aunt and secondly we will take the bus to Boracay the next day and staying in a hotel in the city will just delay us. 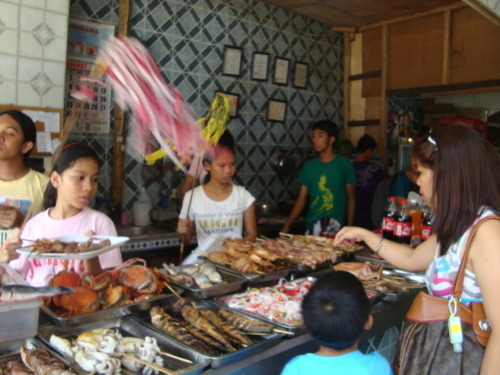 2nd day: We meet his sister, Liezl at the Gaizano Mall in Roxas City and then we went to the bay where there are a lot of restaurant serving sea foods and you will have to eat beside the beach which was very refreshing. Best thing is we ate in our bare hands that made our food taste better. We walked along the bay afterwards where we have some picture taking. 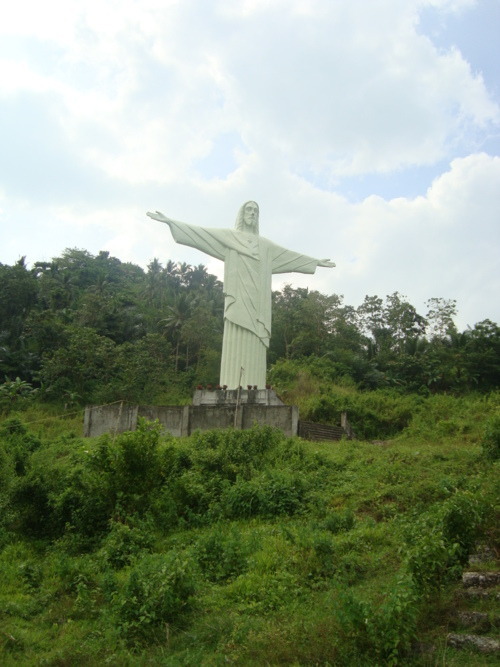 Upon going home, we passed by a big statue like the one in Brazil. The view is just breathtaking. A lot of greens made me feel better after that sleepless night. 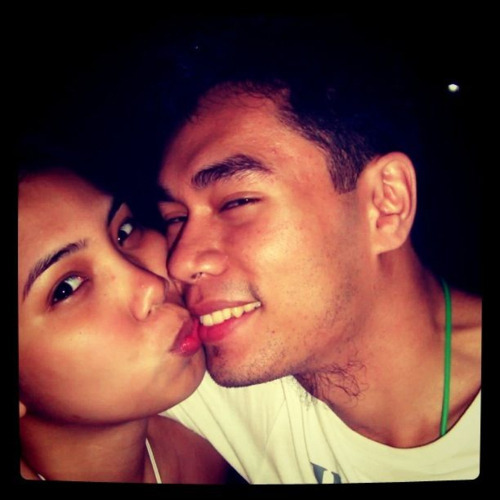 We also passed by Gugma (love in bisaya) beach since it’s just 20 minutes away from their house. It seemed like it’s going to rain so we just spent less than 20 minutes, we just took pictures and savor the beach, I don’t think that beach is ideal for swimming for me though. We also found this! 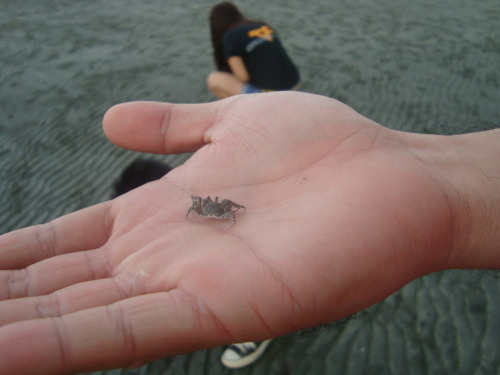 A small crab. That night there was a black out, so we have to fan ourselves, Mac offered to fan me just for me to sleep. In thirty minutes electricity resumed and we managed to sleep, finally. This time I just woke up one time, and then I didn’t cry anymore! Oh yeah! Way to go Cindy! Going to Boracay is in my TO DO LIST, and I finally have a tick on it. Yey! Day 3: We woke up very early the next morning and we waited for the bus bound to Caticlan, instead a van comes after I guess 40 minutes, and we took it. Our theme song for this trip which is “Moves like a Jagger” was played on the radio, I just can smell the sea from Capiz. It took us 2- 3 hours drive but it’s worth the wait, when I saw the water, my jaw dropped, I must be in paradise. When we get there, we meet the caretaker of the guest house where we’re going to stay, you know how much a night it is? 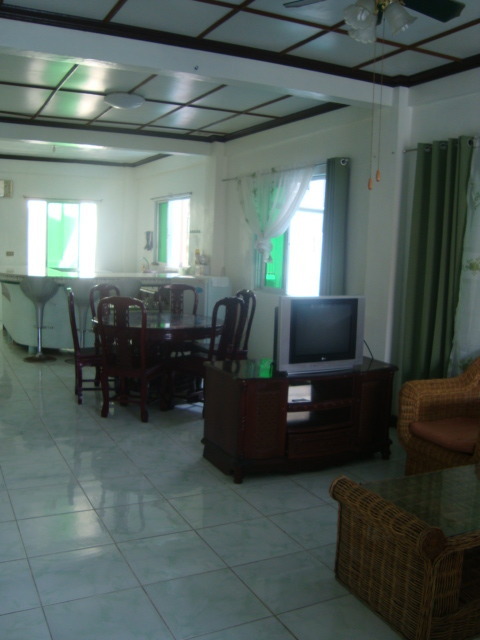 It’s just Php 1,500 per night! I mean that’s cheaper than a motel especially when you’re in Boracay, a tourist destination, famous to its white sand beaches. It’s actually an apartment with 4 rooms upstairs, we even have this living room + kitchen all to ourselves since it’s low season and nobody’s there anyway. We changed to a new outfit with swim wears underneath, we then eat our brunch in Andoks Chicken. 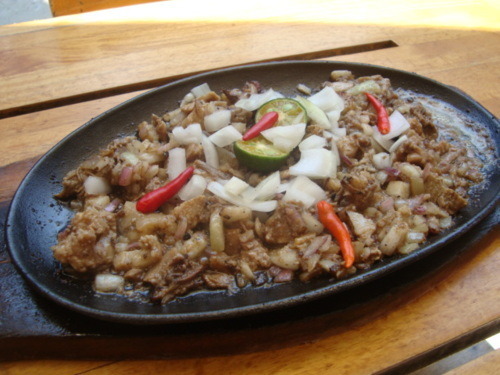 We ordered our favorite Sisig. After that, we have a walk and then a man in his thirties, called Nelson offered us helmet diving and island hoping. And so we go. We experienced helmet diving, which was scary at first but without minding the heavy helmet, I might want to live there forever. 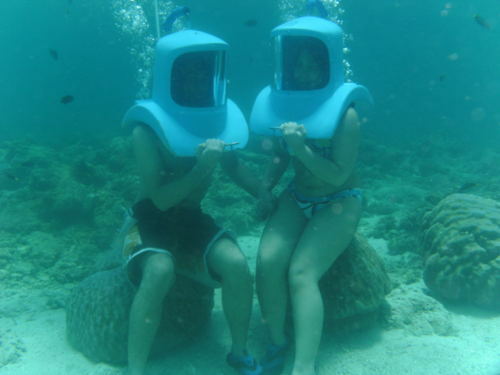 See, we can still managed to pose under the water since this photographer made us do a lot of things. A video is already included in the package which I’m still thinking whether I should upload or not, the video’s pretty embarrassing. Island hopping comes afterwards where we got the chance to try snorkeling. 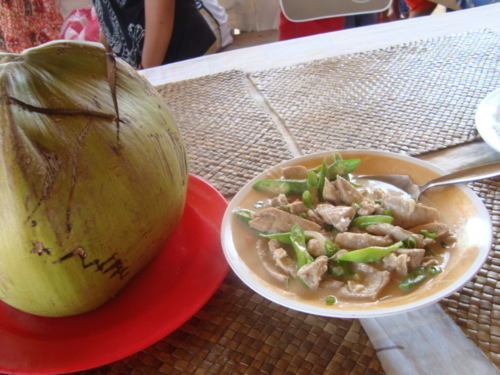 We have sipped some buko juice and eat Bicol express, also one of our favorite meal. We got tired eventually, so we choose to cut the island hoping short and went back to our room. We took a bath, and in no time, we fell asleep. It was around 6- 7 pm when we woke up, we go to d’mall and to get rid of headaches, we sat down in a cafe, I ordered cappuccino and Mac ordered chocolate drink. Sitting there, you can feel the place’s beach good vibes shouting party. There are quiet spots in the beach too so we just walked around and embraced the moment. We took our time, took pictures, listen to music, sat down on the sand, stood up and walk again. Headache comes back again so I started puking, I can’t eat that night, it started raining so Mac just ordered some lechon kawali from Andoks and we went back to our room. Day 4: We decided to have a swim after we ate breakfast in the morning. We must spend more than 2 hours swimming since I grew so dark that morning. I don’t care though, I was having fun! Mac and I have this game, the person with the longest time under the water win. We both don’t know how to swim, so we stay close to the shore. Guess what, I’ve won. Haha! After 2 hours of that crap, we finally managed to get back to our room, we rest for a while, have some siesta and then around 4 pm we went out once again. 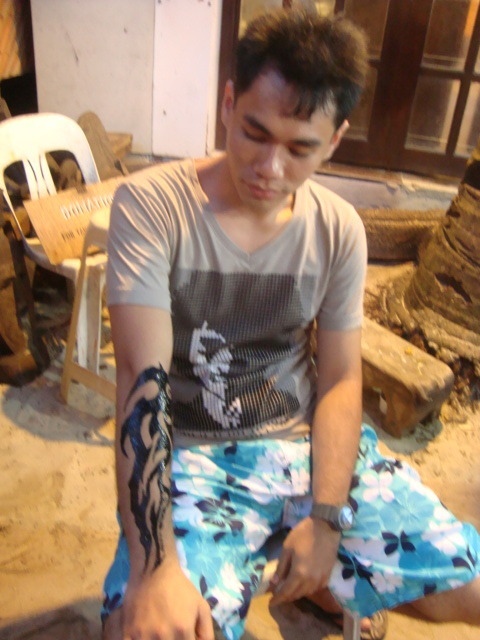 We ate some ihaw ihaw, later on got some hennas. 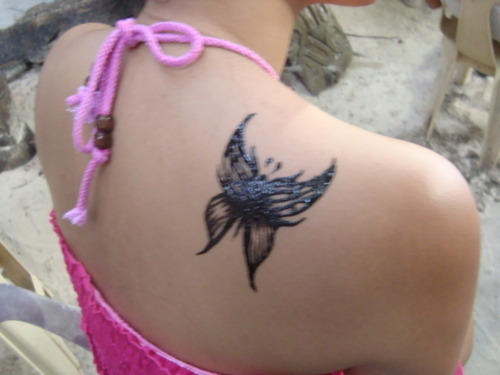 I got a butterfly and Mac got this ‘flame of recca’ thingy! Haha! I teased him a lot about it. We had buffet dinner (all Filipino Food) that evening, two thumbs up, a great dinner. Then it started raining. 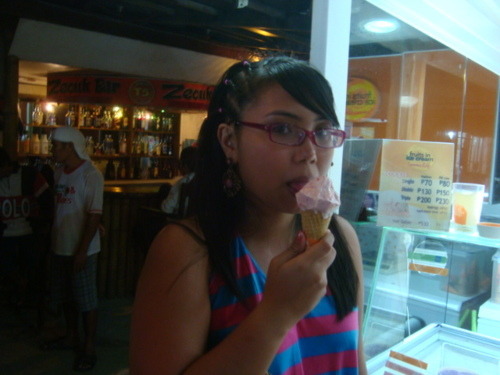 What I noticed about Boracay, was that every evening, it rains. It’s alright though, I feel like embracing it, even the rain was fresh compared to the rain in the city which I think was so polluted. 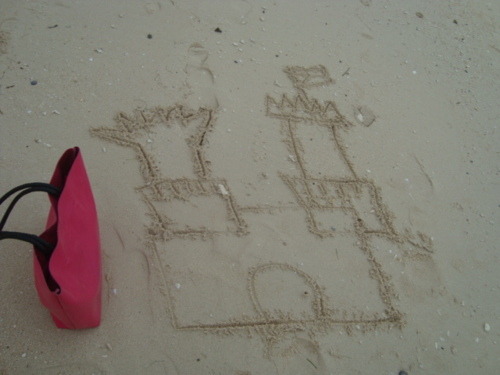 Day 5: We decided to extend for 1 more night, that morning we ate taho and Mac made our own sandcastle, but ours is only 2D. 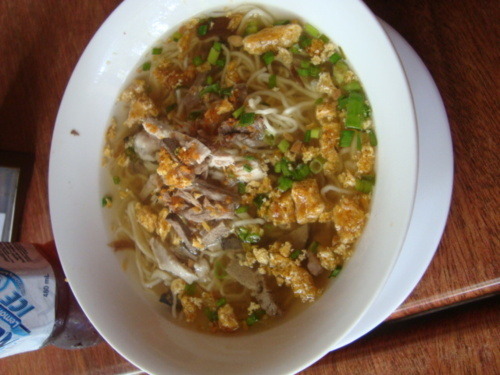 Breakfast was la paz batchoy from Deco’s. That morning also we had a swim once again so my dark skin grew darker. Haha! And then we managed to buy some pasalubong for our family and friends. 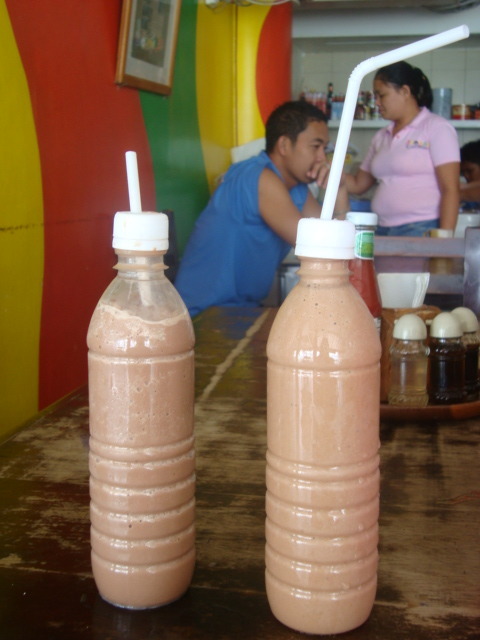 That afternoon, we roamed from station 1-3, drank the famous Jonah’s milk shake. I ordered banana chocolate vanilla, while Mac ordered only chocolate. And then guess what, we rest again! haha! 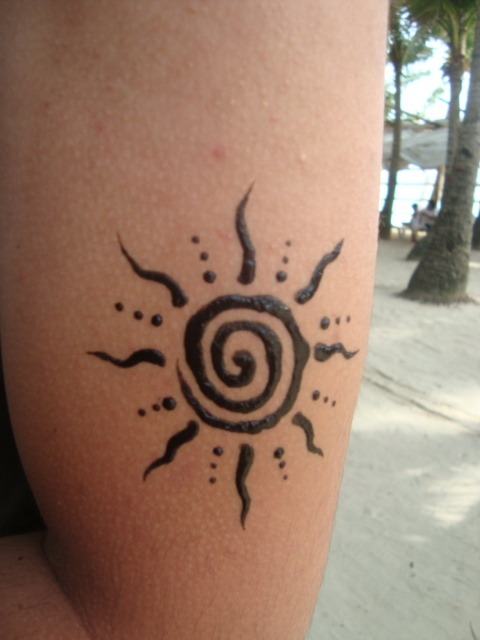 When we woke up, I had my braids cost Php 150, then our second henna! We just want more! 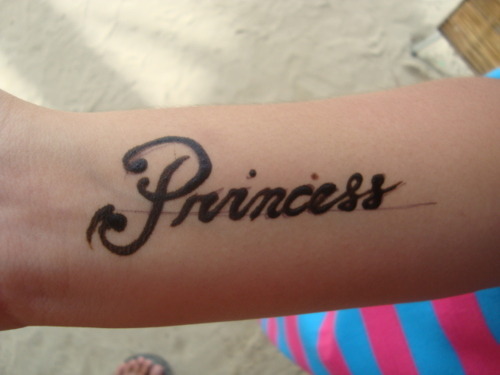 Mac got this sun sign, and I got the word “Princess”. And then this cute monkey got my hair. Damn it! Thank God you’re a little creature, if you’re a human, I would have slap you, and strangled you to death, loljk! 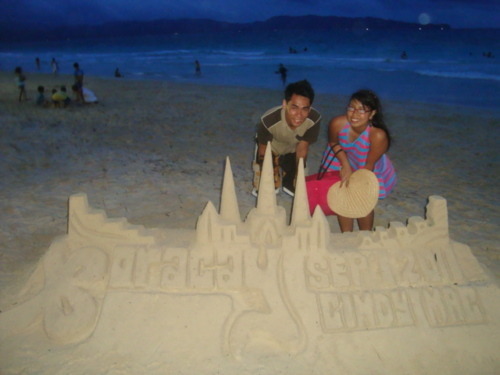 The sand castle with our names costs us Php 100. We ate the same dinner buffet since it’s started raining again, and we don’t have any umbrella. At least I had ice cream! 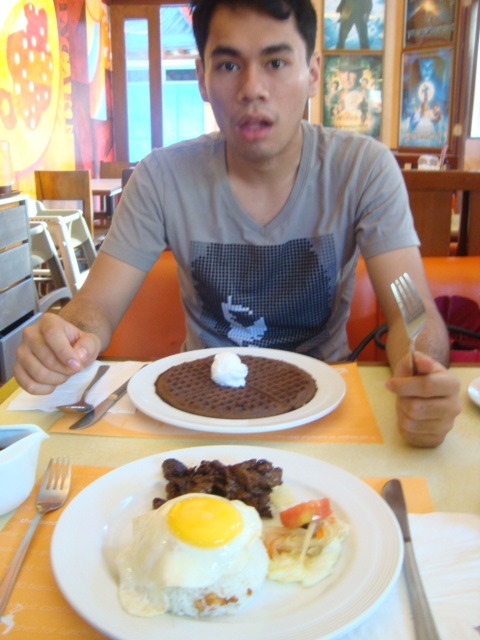 Day 6: Burger for breakfast while Mac had tosilog (tocino with egg). Having a vacation or even taking a short break is good not only for your health, but also for yourself a person. I noticed I’m kinder now compared to myself two weeks ago. I’m loving myself now, I feel more inspired, I have new stories in my head waiting for me to write. Oh, I just love this feeling. 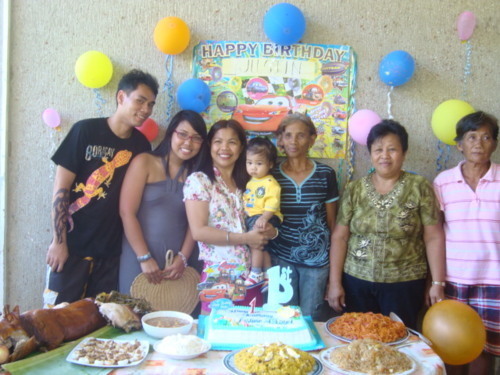 Day 7: We went back to Capiz for Justin’s first birthday. It’s a blast, there’s lechon (roasted pig), carbonara, pinoy style spaghetti, it’s more than I could ask for. Celebrating birthdays in Hong Kong is far different from this kind of celebration. I am proud that we Filipinos prioritize birthdays, I miss this so much. Mac’s folks are fun to talk to too. Although there are others who’s kinda odd. Let’s just focus on the celebration, shall we? Mac and I argued once again but we fixed everything up that evening. That night, we fixed our luggage, what’s on our mind was the next day, surely it’s gonna be long. 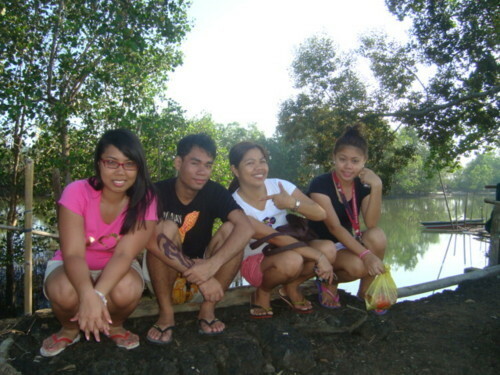 Day 8: The day of our departure but in the morning we still managed to roam around the fish pond owned by their family. It’s kinda big, fishermen caught lots of fishes and even crabs. It’s just amazing witnessing such event. Fishes are so excited to be eaten by humans! Haha! What I’m going to miss is the fresh air, you wont find it in the city where it’s all noise and pollution. I wish I can stay there forever, but you can’t have everything. I mean who does really have everything? 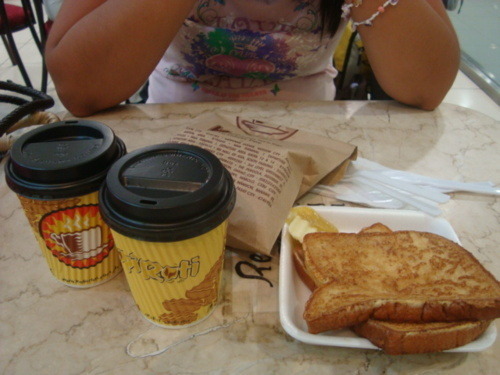 We finished our trips to the fields at around 9 am, we took a bath afterwards, then passed by the mall near the Airport. It was a last minute and rush shopping. I badly need to buy this book which you can only find in the Philippines. Believe it or not, 2 hours before the flight, we’re still on the road, our driver driving fast for us to catch the flight. When we arrived there, we said our good byes, good thing the flight was delayed. We got some problems with my passport which will expire in December although I keep on telling them that they can’t hold me in Iloilo! I’m really dying to slap that lady who assist us on the face. I explained to them that I live in Hong Kong! Those idiots, what were they thinking?! Anyway things were sorted out, good thing there’s kopirotti in NAIA terminal.